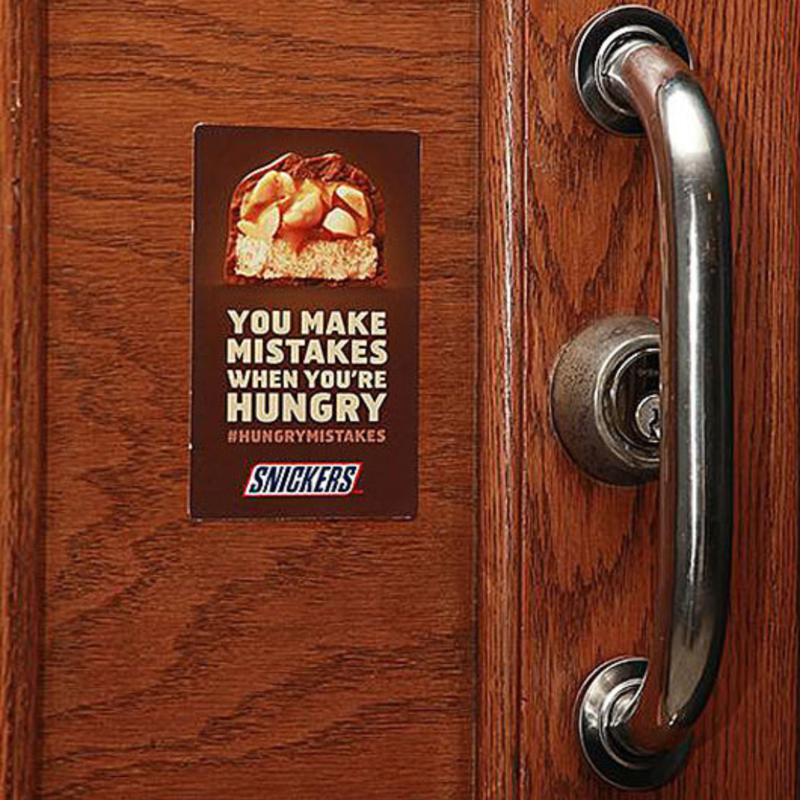 Snickers has rolled out a campaign using stickers in the US, reminding passers-by that mistakes happen when people are hungry. 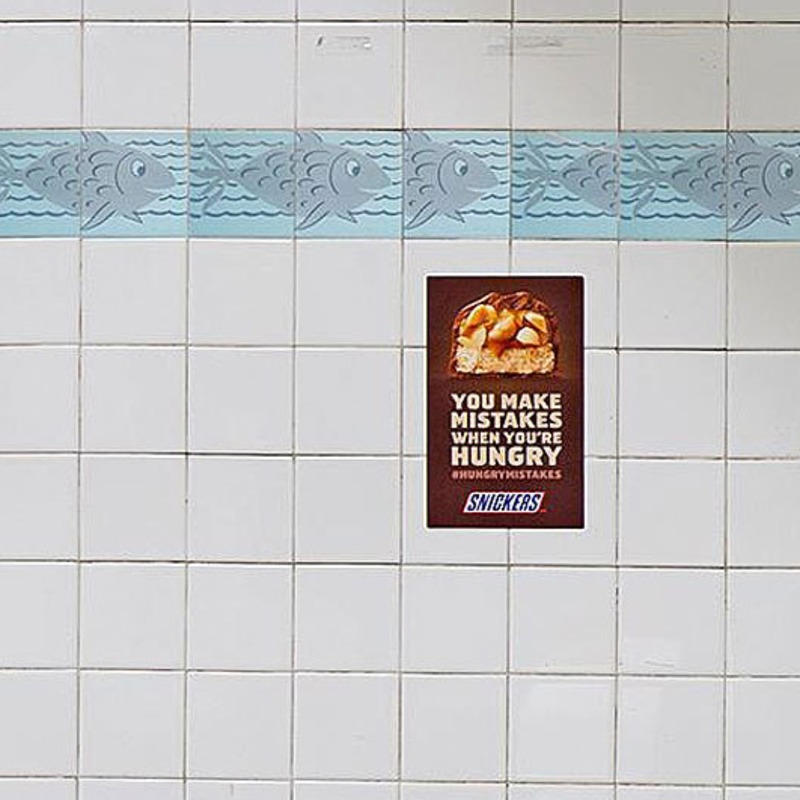 The campaign, by BBDO New York, saw stickers with the tagline "you're not you when you're hungry" plastered next to mistakes around the city. 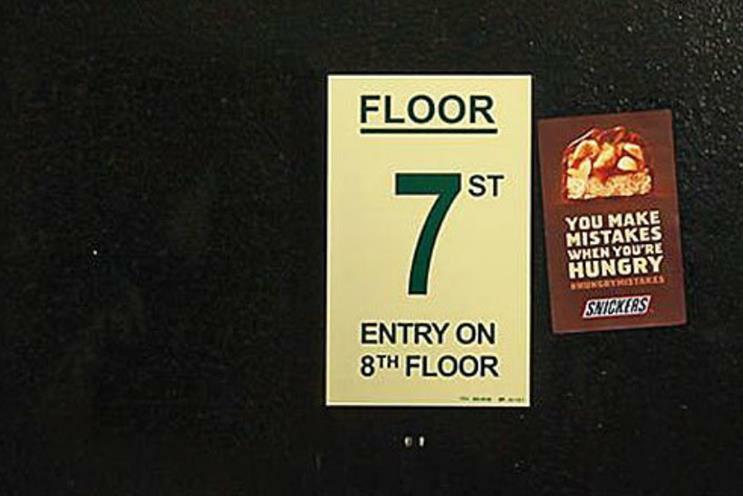 The mistakes included misaligned tiles and incorrect information in public places.